Build a signal box to communicate with Zombiebot HQ. 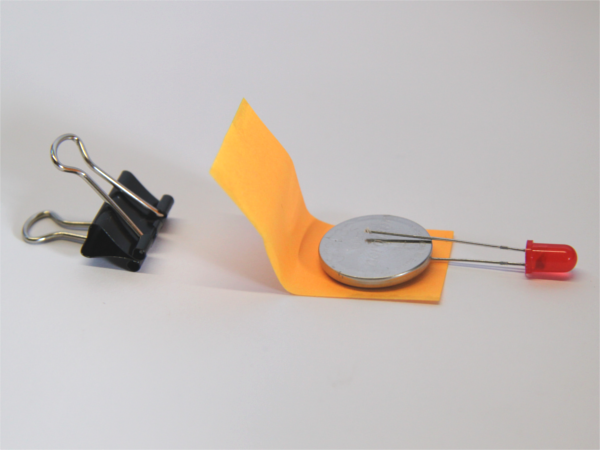 This challenge uses a prototyping board (also called a breadboard) to make a circuit that turns on either a red or green L.E.D. But before we go too much further, you’re going to have to get your breadboard licence. Do you know how to use a breadboard to connect wires together to make circuits? Here’s our tutorial on how breadboards work. Put the battery into the holder correctly (matching + and – with the holder). Look on the battery holder to find the (+) and (-) pins. Now find the letters and numbers on the breadboard, and slot the holder into the breadboard with the (+) pin in slot B30 and the (-) pin in slot H30. Now use a red jumper lead to connect A30 to the red power rail on one side of the board, and use a black jumper to connect J30 to the black power rail on the other side. We now have power! Put the long leg of the red L.E.D. into E6 and the short leg into F6. Now put the lIn a hurry? Here are all the instructions in one ong leg of the green L.E.D. into E8 and the short leg into F8. Put the switch into the breadboard so the three pins are in C6, C7 & C8. Click the image to see detailed instructions. A resistor stops too much power from getting to a component. We’re going to use one to protect our L.E.D.s. 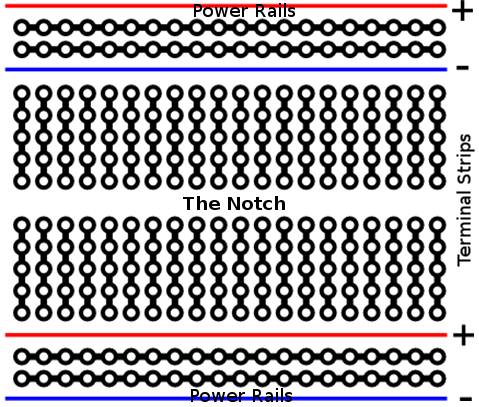 Use the resistor to join the red power rail to A7 – the centre pin of the switch. Use two black jumpers to connect the short L.E.D. legs to the black power rail (Fig.4) to complete the circuit. We can now send power left (green L.E.D.) or right (red L.E.D.) using the switch. You’ve got a signal box that switches from green (safe) to red (Zombieees!). Using the breadboard and jumpers to connect together all of the parts for the Zombiebot.